The Town of Fort Erie recently initiated the Bay Beach Master Plan for the waterfront property purchased by the Town in 2001. The first Community Workshop was held on July 6th and 7th in the Crystal Ridge Community Centre. As a follow up to the terrific input received at the workshop, please share your thoughts by completing this sentence, “My Bay Beach is a place where…” in the survey below. This will help the team shape the overarching vision statement for the Bay Beach Master Plan. 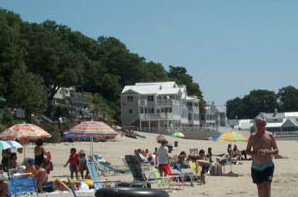 Take Our Bay Beach Survey! The eight key directions that came out of the Community Workshop (and presented to Council on July 20) are listed in the link below. Each key direction includes a statement and sub points that embellish options and/or considerations. Please have a final look and share your comments below. Help us get the word out by sharing this post with your friends. ← Rabies Control Operations for 2015 on August 17, 2015. The Key Directions have had a lot of good thinking go into them, keep up the good work everyone and soon we will see well planned growth and success for this corner of Greater Fort Erie. The whole Crystal Beach area is looking nicer and more welcoming than ever, kudos to Friends of the Beach , spent a day at the Circle of Art, it is going to be great if the ideas are all adopted.